Greenland Australia has held an official ‘topping out’ ceremony at its master-planned project in north-west Sydney, ‘nbh at Lachlan’s Line’, signifying the structural completion of the highest floor of the development. The first stage of the ‘nbh at Lachlan’s Line’ development includes four towers of 17, 14, 14 and 11 storeys, and will comprise 592 apartments and 5,000sqm of retail floor space. The ‘topping out’ milestone was celebrated by a gathering consisting of Greenland Australia representatives, project builders Ganellen, Landcom and other project consultants in a ceremony held on top of the 17-storey Nexus building, which boasts views to the Sydney CBD and over the neighbouring Lane Cove National Park. In marking the occasion, Greenland Australia’s Managing Director, Sherwood Luo, spoke of the bright future for Macquarie Park and the ‘nbh at Lachlan’s Line’ community. “The area is well serviced by major transport connections such as the nearby North Ryde Metro Station, which is only 200 metres from site, with nbh residents to have direct access to the CBD via the Metro when it reopens for business in mid-2019, courtesy of a new footbridge which is being built by Landcom. Mr Luo also praised the efforts of Ganellen in delivering the nbh project to this point. “Ganellen have been exceptional to work with and their team has ensured this project has remained on or ahead of schedule throughout,” added Mr Luo. Mr Luo’s comments were backed by Ganellen CEO Peter Maneas, who said, “For a global Fortune 500 company such as Greenland to adapt and grow into the Australian market in such a short time is impressive. “The relationship we have developed with Greenland Australia ensures our teams remain on track for an early completion, just as we did on Greenland’s Primus Hotel project in the Sydney CBD. The development’s residential towers – known as Habitat, Hideaway, Hearth and Nexus – will wrap around the future Lachlan’s Square, which is set to become the community’s key retail destination, lined with supermarkets, food emporiums and essential services, as well as day care and playground facilities for young families. Prices at Hearth start from $647,000 for a one-bedroom apartment – for further information and pricing, please call Greenland Australia on 1800 388 788. Alternatively, to find out more about ‘nbh at Lachlan’s Line’, visit nbhsydney.com. 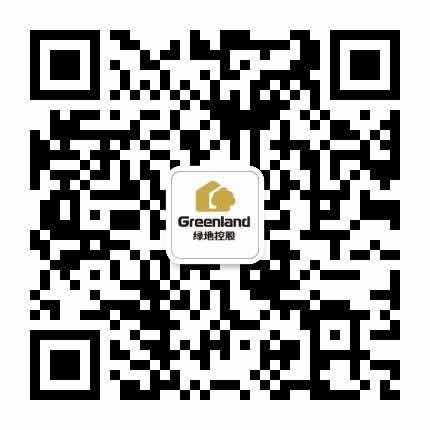 Founded in China, Greenland Group has expanded its business to Australia, USA, Canada, UK, Germany, Japan, South Korea and Malaysia. The company’s extensive reach and competitiveness continues to showcase its international reputation for transformation on a global scale. Greenland Australia commenced in 2013 and is currently developing ‘nbh at Lachlan’s Line’ in Macquarie Park, ‘Greenland Centre Sydney’ in Sydney’s CBD, and ‘Park Sydney’ in Erskineville (in partnership with GH Australia), while the company has completed projects at ‘Omnia’ in Potts Point, ‘Lucent’ in North Sydney and ‘Leichhardt Green’ in Leichhardt. Founded in 1998, Ganellen is an established and successful design and construction contractor employing over 200 people across more than $850 million in projects in Australia and New Zealand. The company operates in all sectors with specialist expertise in commercial, retail, multi-storey residential, hotels, education, infrastructure, and government buildings. Ganellen has a strong balance sheet, demonstrated track record of early delivery, and a culture based on collaborative working relationships.